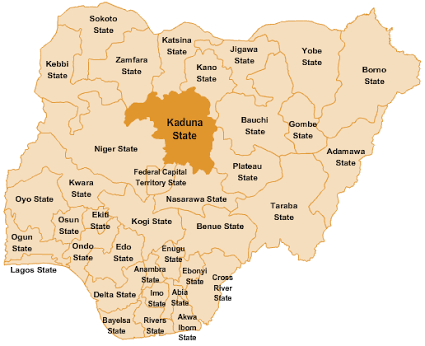 The Kaduna State Government with support from United Nations Children’s Fund (UNICEF), on Thursday began a three-day training for budget and nutrition officials, and civil society organisations on tracking nutrition budget in the state. Malam Salisu Lawal, Director Development Aid Coordination, Planning and Budget Commission, explained at the opening of the training in Zaria that the goal was to ensure efficient use of government resources. Lawal said that the government has in recent times increased nutrition budget and created budget lines in some key ministries, departments and agencies. He stressed that tracking of such budgets was key to making the desired impact towards improving the nutrition of women and children in the state. According to him, tracking government commitments and expenditure on nutrition is important and will serve as a tool for achieving the goals of food and nutrition policy in the state. “There has been growing concern in recent times on how much the federal, states and local governments allocates in their annual budget to improve nutrition status of women and children. The director thanked UNICEF, Save the Children International, Alive and Thrive, Civil Society Scaling Up Nutrition in Nigeria and other development partners for supporting the state to address its nutrition challenges. Mr Adama Abdul of UNICEF, Kaduna Field Office, commended the Kaduna state government for making necessary effort to keep track of nutrition spending in the state. Abdul said that tracking nutrition budgetary allocation would enable the government and development partners to know how far they have come in terms of budget releases and implementation. Mr Isah Ibrahim, Nutrition Advocacy Advisor, Save the Children International, described the training as timely, stressing that the move would strengthen government commitment toward improved budgetary allocation and releases. Ibrahim, nonetheless, called on the state government to increase nutrition and create budget lines for nutrition intervention in relevant MDAs for maximum result. He also urged the government to consider the rate of inflation when allocating funds to nutrition related activities to meet up with market realities and reach out to as much children as possible to improve on the nutrition situation in the state.